It’s a well-known fact that age can have a major impact on a woman’s chances of conceiving and fertility. However, are men just as affected by their biological clocks in regards to fertility issues? It may be harder to tell the grandads from the dads at the parks in recent years, especially as the trend of older parenting continues to grow. For men, the decline in fertility typically starts at the age of 40. Infertility for couples is split 50/50 between both female and male, but the male infertility cases are expected to rise and surpass female soon. In the 1970s, 15 percent or less of dads were over the age of 35. That figure has increased to one-quarter, especially with men between the ages of 50 and 55. While putting off fatherhood until later in life has become socially acceptable, there are still complications and risks. 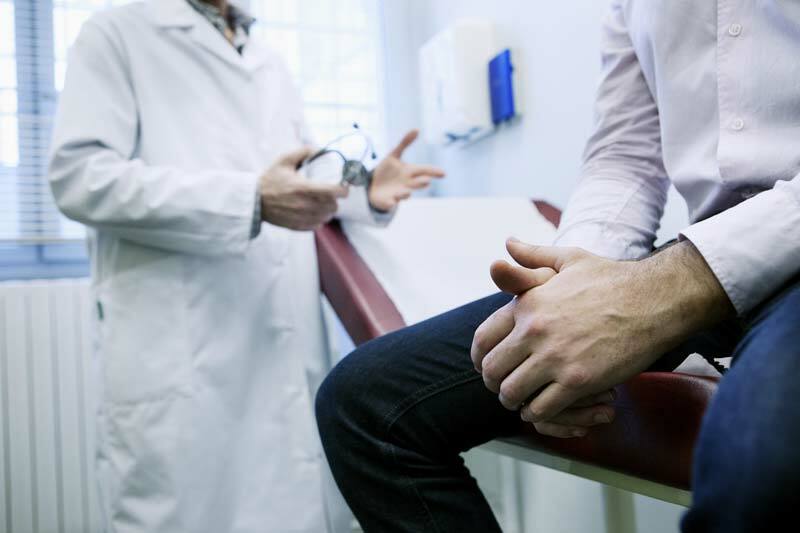 There are a number of causes behind male infertility such as testicle problems, sperm issues, sexually transmitted diseases, illnesses and health complications. If you were exposed to toxins or chemicals or you’re overweight, smoke, drink or abuse drugs, you may also be facing infertility. Men being able to conceive a child throughout their lifetime is a common misconception. However, a recent study observed 2000 couples and found that after the age of 40, male fertility can lessen by as much as 70 percent. This is similar to female infertility trends. While there are still instances where older men have been able to father children up into their 70s, these cases are exceptions and not the norm. Another study in 2003 placed a link between lead toxins found in male bloodstreams with infertility. Instead of the lead coming from hazards on the job, it was a lack of exercise, smoking and drinking that caused the problems. Because lead can prevent sperm from functioning properly, men won’t be able to fertilize the female eggs. The American Society for Reproduction Medicine held a meeting in 2011. Here they presented a study by a nurse in Sao Paulo, Brazil which focused on approximately 500 IVF treatment outcomes that used healthy egg donors of women in the age bracket of 18 to 30 years old. The men with the highest success rate in the study were younger, while the unsuccessful participants were within the mean age of 45. The study found that fertility rates lessened in males by as much as seven percent for every year. The steep drop-off continued with chances of a pregnancy reducing by as much as 60 percent in those 41 and 35 percent by the age of 45. The University of California Berkeley produced findings from another study that included 100 men between the ages of 22 and 80. The research showed that male sperm deteriorated as early as their 20s. By the time the men reached 60 years of age, 85 percent of their sperm was found to be abnormal. As men age, they also experience numerous breaks in their DNA strands. This means that older men have a greater chance of producing children with genetic issues. From downs syndrome and schizophrenia to dwarfism and other genetic issues, age can play a prominent role in the many defects. •Don’t smoke. If you do smoke, find a way to quit. •Reduce or eliminate alcohol consumption and forgo any recreational drug usage. •Maintain a normal healthy weight. Being underweight or overweight can wreak havoc with your hormones and cause infertility problems. •Keep your sperm cool. The temperature of the testicular area in men is critical to fertility. That’s why it’s important to avoid saunas and hot tubs. You also want to avoid placing your laptop on your lap. Try to limit bike or motorcycle riding, too. •If you work around toxins or other harmful chemicals, wear protective clothing or masks. •Reduce stress. 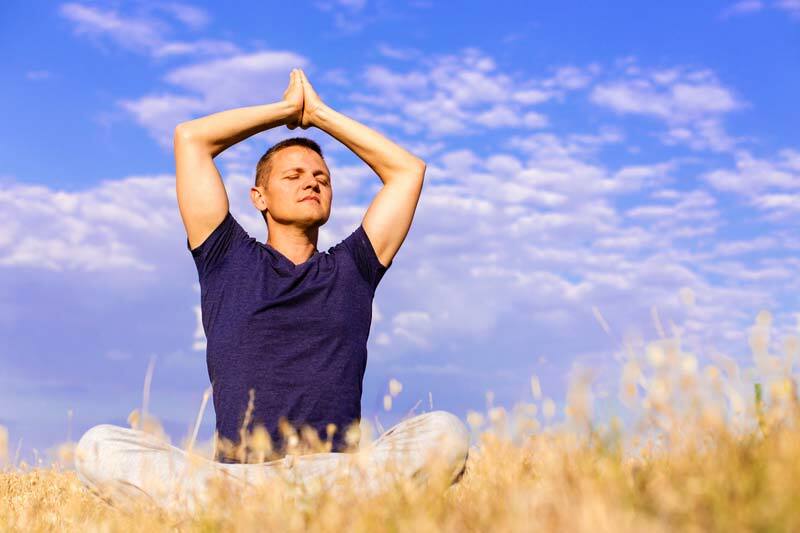 Yoga, meditation and exercise can help in eliminating anxiety and stress. •Get plenty of rest. Put away your electronics and let your mind and body relax before bedtime. •Consume a healthy diet. Foods such as red meat, eggs, nuts, seeds seafood, strawberries and asparagus can help with mobility and increase the male sperm count.